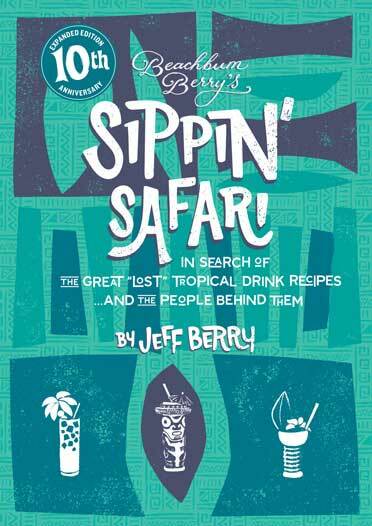 When Beachbum Berry’s Sippin’ Safari was first published in 2007, it ignited a global Tiki drink revival by revealing 69 top-secret recipes of Tiki’s midcentury golden age, and the stories of the people behind them. This 10th Anniversary edition adds another 14 never-before-published classic cocktails to the mix, plus a 26-page preface detailing how the Bum discovered, decoded, and divulged the book’s long-lost recipes. Also included: a new 29-page Afterward charting the Tiki Revival that Sippin’ inspired, with contemporary recipes from the movement’s leading lights across the U.S. and Europe. 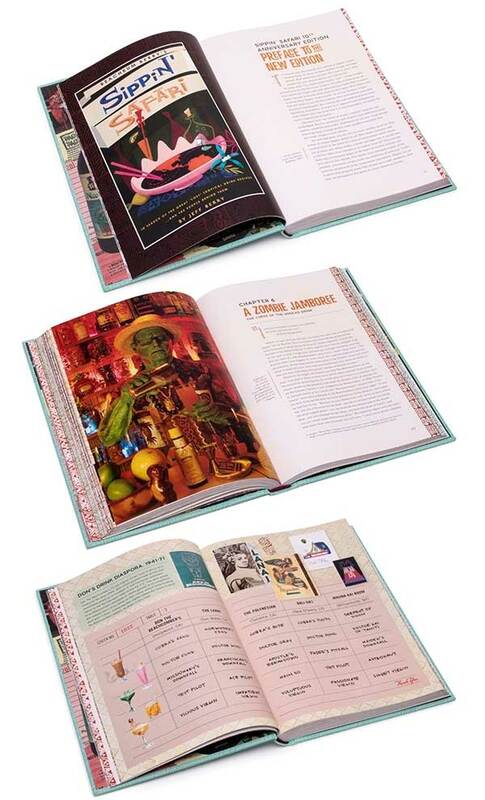 This companion volume to Beachbum Berry’s award-winning Potions of the Caribbean is completely redesigned, featuring rare photos and vintage graphics unique to this edition. Culled from interviews with those who actually created the midcentury Tiki scene, Sippin’ profiles both famous and forgotten figures of the Polynesian Pop era — people as colorful as the drinks they invented, or served, or simply drank. People like Leon Lontoc, the Don The Beachcomber’s waiter who served Frank Sinatra and Marlon Brando by night, and acted in their movies by day; Henry Riddle, the Malibu Seacomber bartender who fed items about his famous customers to infamous gossip columnist Louella Parsons, till the day Howard Hughes found him out; and Duke Kahanamoku, whose manager turned him from Olympic champion into reluctant restaurateur.